Going all the way back to July 21st 2012 when the “Psycho Shooter” made his way to Reseda to face B-B0y in front of a Max Capacity Pro Wrestling Guerrilla crowd as part of Threemendous III, Drake Younger made an impact. From the American Legion Post, Drake’s popularity in Southern California exploded. Nearly two years into his Southern California tenure Younger wrestled 33 matches over 8 different promotions. Drake was involved with 5 championship matches and won the IWL Anarchy Championship. Younger was recognized by the SoCalUNCENSORED Voters by being named Runner Up for 2012 Match of the Year against Ray Rosas. Drake was given Match of the Month Honors 3 times and Wrestler of the Month once. 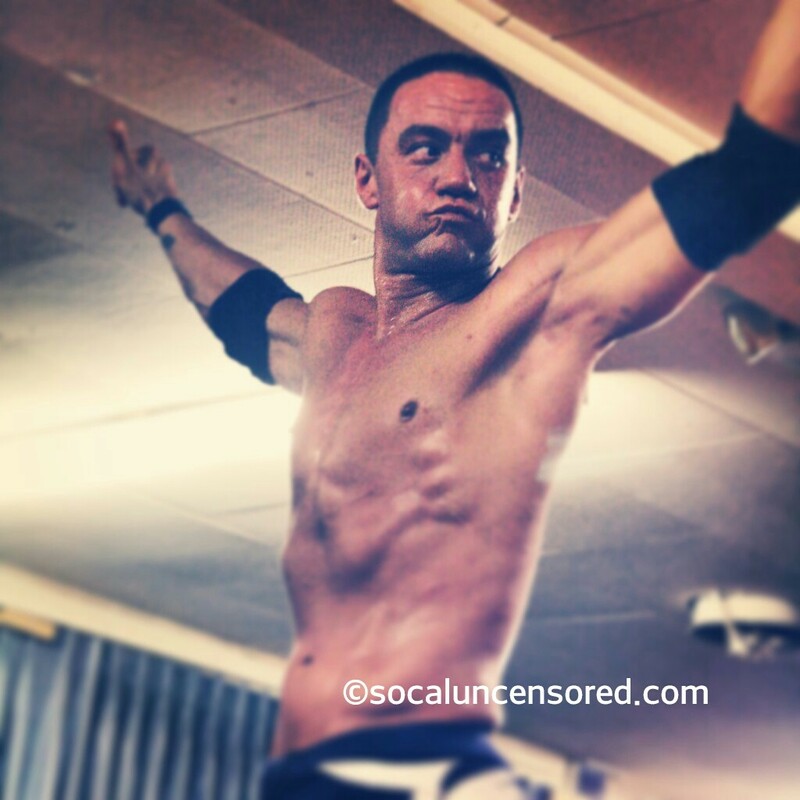 Drake Younger wrestled his final match in Southern California took place on April 26th 2014 at the American Legion Post #335 in South Gate for AWS Promotions: April’s Everyones Fool. AWS Promoter Bart Kapitzke hand picked the returning Sonjay Dutt (who last wrestled in AWS over ten years ago) The grueling battle between two great workers really highlighted a great night of action for AWS. There was just one problem? Where the heck was everybody? I was shock, disappointed, and a tad bit sad to see there was a small crowd on Saturday Night. I was happy to see DaShawn2Cents, The Wrestling Heads, SoCal’s very own Marko, and BtwnChaosNOrder. But where were you? What was more important then sending off SoCal’s Favorite Adopted Son? Not only that, but it was the return of Sonjay Dutt who last wrestled in Southern California over ten years ago against SoCal Hall of Famer Super Dragon. I honestly felt Drake deserved better, I also felt Bart deserved better. I remember being at shows where the fans knew it would be the final appearance of a certain wrestler and the fans came out and celebrated that wrestler. And there was a cool group near me who tossed out Blue And White streamers. But it feels like SoCal dropped the ball. I can’t tell you for sure how many fliers Bart handed out. I don’t know which streets were hit. But I do know that the crowd that did show up was a great crowd, but was significantly smaller than just the Anniversary Show. Dutt would have been a draw for me. Knowing that I won’t see Younger again in SoCal was another draw for me. Plus I was also looking forward to seeing Tyler Bateman vs. B-Boy. Where was the PWG Crowd? Where was the IWL Crowd? Or the Vendetta Pro Crowd? Why didn’t the fans show up for Drake Younger? While walking out of the American Legion Hall, I saw a very humble Drake Younger, maybe catching some fresh air, perhaps digesting what was his final match in SoCal, or maybe just waiting for a ride, I was happy I got to shake his hand. Thank you for his work and wish him the best. Again Thank You Drake! Do you care? Leave a Comment and tell me what you think.